In an era of watered down jokes and impressions a la The Tonight Show with Jimmy Fallon and Saturday Night Live, it’s a gift to find a show that is as funny as it is unapologetic for its painful impressions and humor. Me the People: The Trump America Musical manages to be entertaining and cringe worthy at its best moments, and only the slightest bit schlocky at its worst. Me the People is not simply a jab at America’s current president; this cabaret is an important call to arms, insisting that we all need to point our proverbial finger at the biggest joke of all: the person in our country’s highest office. A cast of four performs clever takes on pop hits, oldies and showtunes that have been re-worked to represent the political frenzy that currently sweeps the United States. 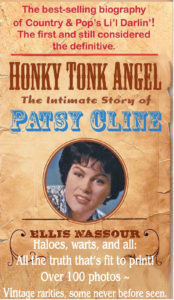 In fact, the program lists the location of transpiring events as “Trump’s America.” Writer Nancy Holson brilliantly rhymes lyrics in songs such as “How Do You Solve a Problem Like Korea” and “Freedom of the Press” (a superb lament from journalists, crafted to Simon & Garfunkel’s “Sound of Silence”) while director Jay Falzone has his cast of delightfully funny clowns maneuver through a slew of costume changes depicting the actual clowns dominating the news…and Twitter feeds…these days. Richard Spitaletta is Off-Off Broadway’s answer to the quick-spitting freestyle of Hamilton; his Russian spy exceptionally spits lyrics faster than Trump sends out tweets. Rhyming “repercussions” with “Russians?” No problem. His Jared Kushner is also doggedly funny, especially alongside Mia Weinberger’s Ivanka Trump, who is in front of her audience in solidarity with working mothers. Weinberger’s impressions of Nancy DeVos, Melania Trump, Kim Jong-un and Hillary Clinton make Kate McKinnon’s SNL jabs look elementary and dry. Spitaletta and Weinberger are not only incredibly versatile performers (and not just in a “we can do costume changes faster than the Dysquiths” fashion), but they’re also remarkable in their ability to break the fourth wall and interact with their audiences. Ivanka auctions off her dog, as well as the dress on her back. Paul Ryan schools the audience on quick fixes for hemorrhoids and the bubonic plague; after all, healthcare benefits are about to be slashed. Mitchel Kawash portrays Mike Pence facetiously to Nat King Cole’s “Orange Colored Sky,” splaying jazz hands while crooning “Flash! Bam! A la kazaam! I can fix you if you’re gay.” The cast is rounded out with Aiesha Alia Dukes, whose talent is a bit wasted with the less significant “characters,” but nonetheless is entertaining as she invites guests to enjoy the Hotel Mar-a-Lago (performed wittily to the tune of the Eagles’ “Hotel California”). Though the intimacy of The Triad Theater is one aspect of its charm, Me the People could benefit from a larger space. Exits and entrances look uncomfortable at times. Because the actors must accomplish a multitude of quick changes, they’re extremely rushed; occasionally, one might believe they just finished a romp in the sack before hitting the stage. Falzone’s choreography is also incredibly fun, and its intricacies would be more appreciated if given a wider berth. 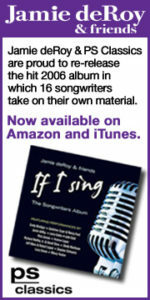 James Higgins’ musical direction and arrangements are astute, as is Higgins himself, who not only plays the piano in direct view of his audience, but adds to the amusement with his interjections as a singer for the Trump International Lounge and Piano Bar, which lies adjacent to the White House (while being completely independent..wink wink). Stephen Smith’s costumes are quickly identifiable per their wearer’s personas. Kathy Pecevich’s wigs steal many numbers. Take one look at Paul Ryan’s follicular folly and be prepared to choke on your drink. Holson, who also teamed with Falzone and producer Jim Russek on 2006’s Bush Wars, spares no one in Me the People, and it’s perfectly acceptable in its truth (*not the fake type). One can liken the intelligence in the writing to that of the lyrics jabbing religion and race in The Book of Mormon: however, this show voraciously goes after the current administration and its own cast of characters in a specifically pointed, no-holds-barred manner, a comforting war cry for those fed up with the antics of the existing climate. Weinberger’s Hillary Clinton leads a finale to the tune of Cee-lo Green’s “F**k You,” rousing the audience to join her in a big middle finger to the atrociously laughable “star” of Me the People (a star who, it should be stated, never actually makes an appearance- a smart choice, as he doesn’t need another second in the spotlight). Similar to pulling out a gray hair or getting a shot, many of the jokes initially cause soreness in their necessity and verity, but they quickly take on a poignant tone amidst the mockumentary-style laughs. Holson’s writing is important and consummately unique in that it doesn’t sit well; instead, it tells you not to take the circus sitting down at all. 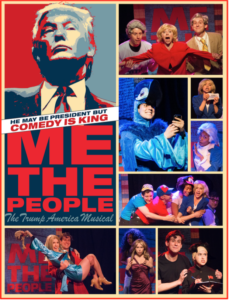 Me The People: The Trump America Musical plays at The Triad Theater (158 W. 72nd Street between Amsterdam and Columbus Avenues). Doors open at 9PM. Tickets are $39 – $49 (plus a 2 drink minimum). 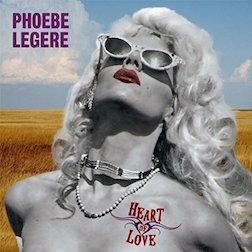 Tickets and complete performance schedule (which varies weekly) are available at www.MeThePeopleMusical.com or by calling 212-279-4200. Photo: Stephen Schwartz Iris Wiener is an entertainment journalist and theatre critic. Follow her on Twitter @Iris_Wiener or visit her at IrisWiener.com.